Kaua'i County, Hawaii's smallest county with 70,000 residents, attracts at times in excess of 30,000 tourists a day, creating traffic and tourism congestion and rising housing costs that have affected residents' quality of life. Sea level rise threatens the coastal areas, and housing construction concentrated in agricultural areas isolates residents away from employment centers. 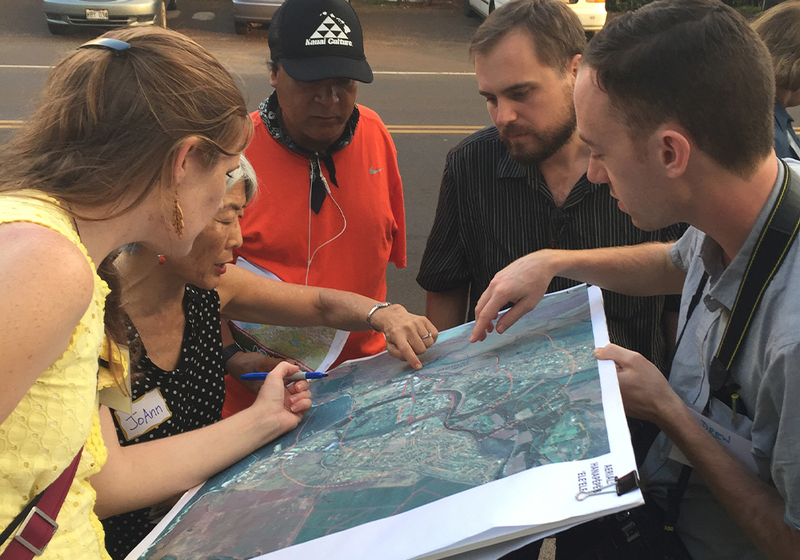 The new Kaua'i County General Plan, adopted in Spring 2018, represents a transparent and robust effort, involving residents at every phase of the planning process. The plan's 19 streamlined policies address the critical issues that residents face, guide the county's growth, and acknowledge the cultural heritage of the island while also calling for a county-wide system of action, evaluation, and accountability. The plan embodies the theme Kaua'i Kākou, a Hawaiian concept meaning "we're all in this together," by identifying different ways of collaborating and encouraging partnerships among government agencies, civic leaders, nonprofit groups, and the community to bring about positive change. To address residents' concerns about transparency in implementation, the plan establishes a regular monitoring cycle with several feedback points, and it calls for the creation of the Kākou Committee, which convenes every two years to review the plan. The plan acknowledges Kaua'i's unique heritage by including policies to support social equity amongst Kaua'i's ethnically diverse community and the protection of Kaua'i's heritage resources. It also connects Native Hawaiian traditions, such as the ahupua'a system (the traditional land management system), with modern day land use and management principles. Planners hold a "talk story" session to discuss the proposed general plan. Thousands of residents participated in community events such as meetings, open houses, pop-up events, lectures, art contests, and more. Planners engaged youth of all ages, from elementary school age to college students, who participated in contests and workshops that helped them understand the plan. From public community visioning charrettes, planners created a Future Land Use Map that showed the plan's impact on island communities and acknowledged that each community is unique and distinct. A Place Types Map shows how each community identifies itself in terms of form and scale, and identifies a unique historic place type — the Plantation Camp. To ensure that Kaua'i's cultural diversity was represented, a racially diverse citizen's advisory committee guided the process and all technical reports were translated into the Hawaiian language. Community visioning charrettes were held in communities across the island. The Kaua'i County General Plan is more simplified than its predecessor, with 19 streamlined policy statements that address multiple issues such as multimodal transportation, infill development, tourism management, social equity, public health, climate change, and sea level rise. 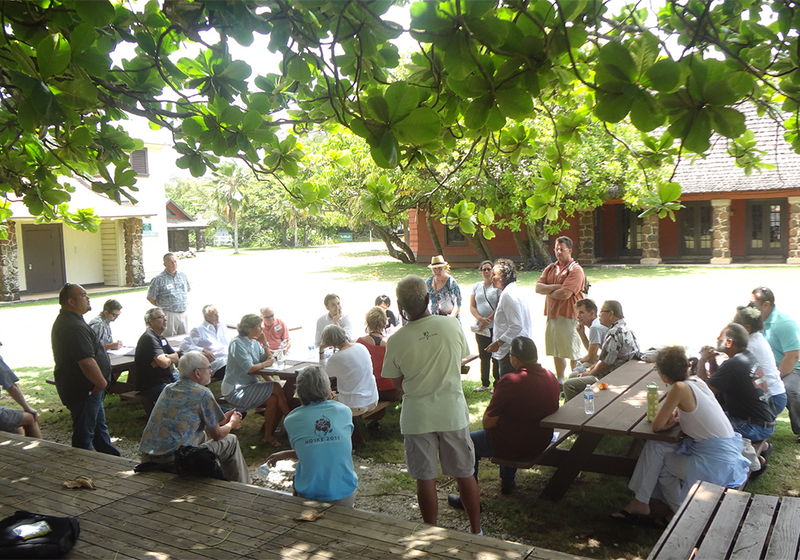 By working with local government leaders, community groups, and residents, including Native Hawaiian stakeholders, planners were able to create a general plan in the true spirit of Kaua'i Kākou (working together.) In 2018, Kaua'i Kākou earned the Outstanding Planning Award from the Hawaii Chapter of the American Planning Association, in recognition of the plan's innovation and response to community input. 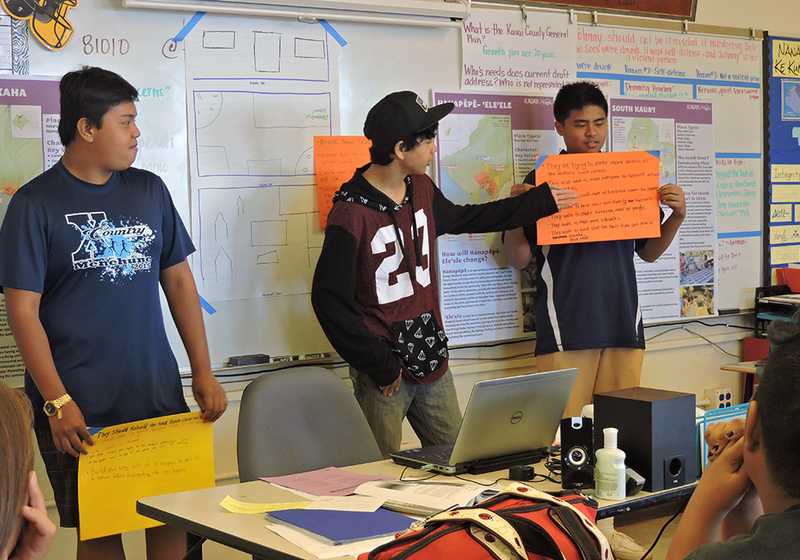 Students explain components of the plan in their own words.